This Hudson line begins here with John Hudson and Elizabeth Doris Allen. But much of the information comes from the research of Jewell Norman Hudson during the 1950’s and 60’s, and documented in that cousin’s book, “Descendents of Jesse Hudson and Related Families”. This geneaolgist has a letter from that relative to my grandmother written during that research. We are all very grateful for the hard work, careful investigation and documenting that Jewell did in that effort for the family. So which is it – Northcutt or Northcott? Well, the truth is…. it’s both. Like many families before the times when legal birth certificates pretty much set things in stone, different family members would often vary their spelling of the names – and this certainly applied to the most literate of people as we (Soap, Soape and Swope, for example are all of the same line in this genealogy). The family history of the Northcutt / Northcott line in these pages appears to begin with Hosea Northcutt, of whom we know almost nothing. 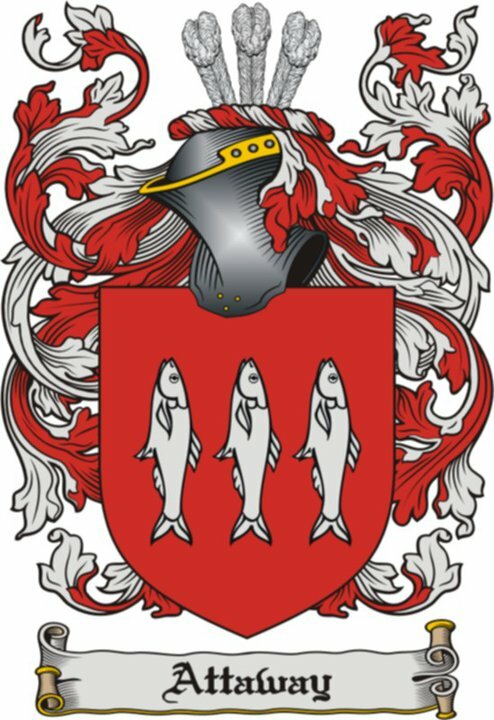 We have a little more information on his son William, on whom most of this genealogy is based. William Northcutt and Sarah Williams had five children that we know of. Information from the Craig family bible has been generously provided by a Craig cousin that reveals a lot about the Attaway family. The father of John William, Nancy Emmer, and Sallie Attaway was John T. C. Attaway; and according to family consensus, the “C” must have stood for “Carlton.” To take it one step further, J.W. Attaway’s first child named a son “Thomas Carlton,” which suggests that the father of J. W. Attaway was named John Thomas Carlton Attaway. The same cousin has also provided a copy of Sallie Craig’s death certificate, which confirms the trail that the census records lead us to. Thanks to another cousin in Sallie Craig’s line, we now have a copy of a 150 year old marriage license for John T C Attaway and Belinda Beck. We have found J. W. Attaway’s mother Sisly in the 1850 census along with his father’s brother, William. According to family historians, John William’s father J.T.C. Attaway was a sandy-haired Irishman who came here from Ireland as a young boy. The Ireland connection has not been found yet. The 1840 Talbot county Georgia census finds him at the age of 5 living with his brother William and mother Sisly Attaway. The assumption is that she was widowed. John T.C. Attaway married Belinda (Malinda) Beck, a young woman of French descent, who died young.